Measure your stress and see how you compare to others. If you have serious concerns for your own or someone else’s mental health and addictions problems, the District Health Board have a phone-in service staffed by mental health professionals 24 hours per day. They are available for advice and assessments and will refer you onto the most appropriate service. The questionnaire below relates to how you have been feeling over the past month. It was developed by researchers and thousands of others with similar concerns. Click on the circle that most closely describes how you have been doing and when you are finished click on “Calculate my Results”. Once you get your score, you will be prompted to the next step, which will help you decide whether or not to seek help or to try some things on your own first. 1. Tired out for no good reason? 3. So nervous that nothing could calm you down? 6. So restless you could not sit still? 8. That everything was an effort? 9. So sad that nothing could cheer you up? 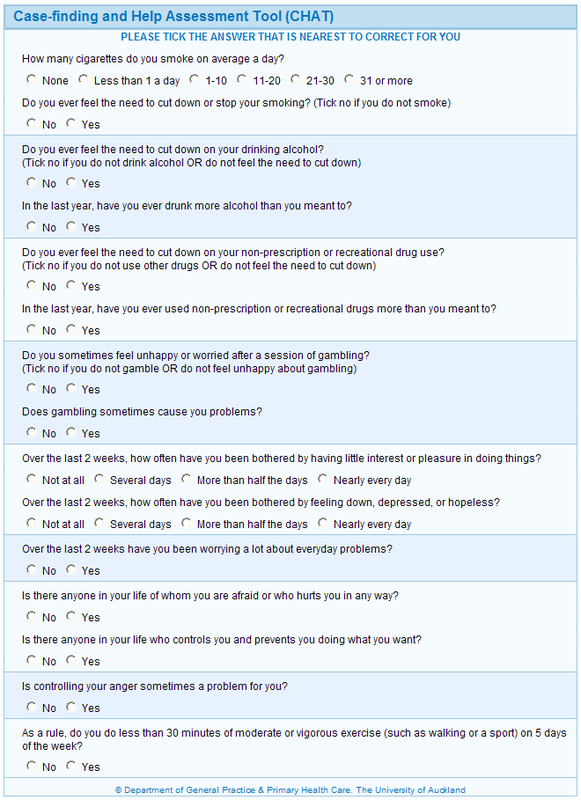 Please answer the ten questions above to measure your distress levels. If you would like to learn more on how to manage your stress please click here.